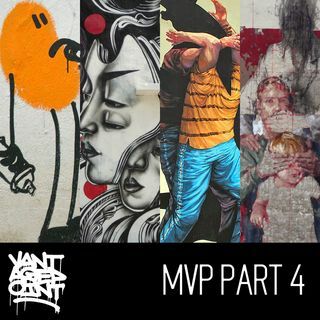 Part 4 of a 4 part series, recorded with special guest Host FinDAC.. we catch up with Vantagepoint Alumni on what they been doing since we last spoke to them on Vantagepoint. Recorded on the day of the opening of Urban Nation in Berlin, this interview series is loose, irreverent and ever increasingly drunken. Needless to say, this is the drunken part of the night.. its loud, unruly and general chaos..